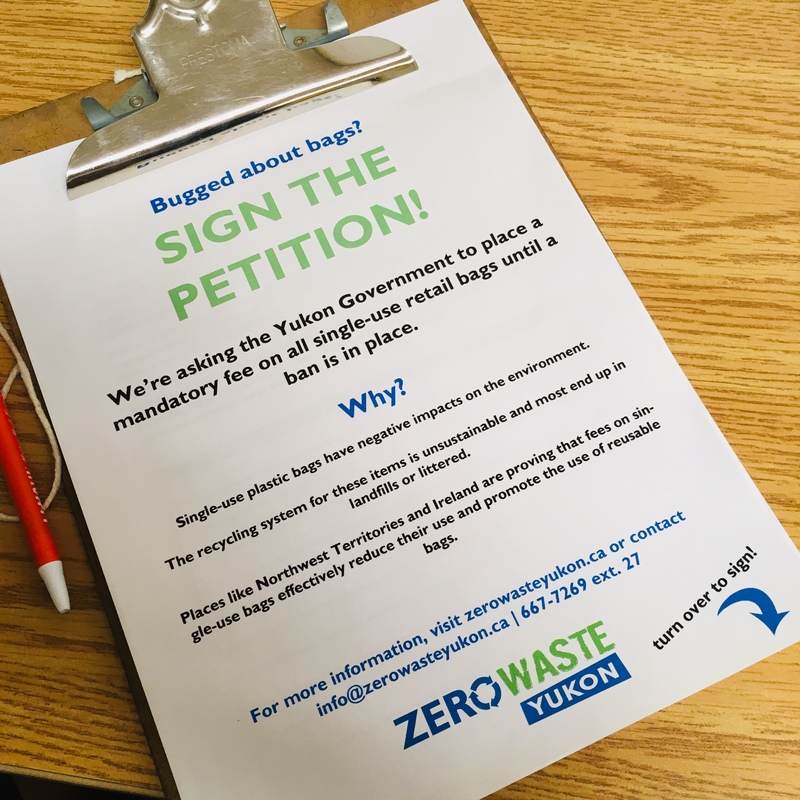 Check the blog to stay updated on what’s happening locally, to learn about strategies for reducing waste, and more! Toss it? No way! Take it to the Repair Café! YuKonstruct, the first makerspace north of 60, has been offering a community-operated work space for makers, hobbyists and would-be entrepreneurs since 2014. They provide access to communal space, tools, quality resources and shared knowledge, all in a collaborative environment. Since opening, YuKonstruct has been operating a monthly Repair Café at their makerspace, teaching people how to safely disassemble, troubleshoot and repair their broken electronics and other small appliances. Repair Cafés, or similar events where anyone can bring in a broken appliance or machine and troubleshoot its repair with some expert assistance, are growing in popularity worldwide. 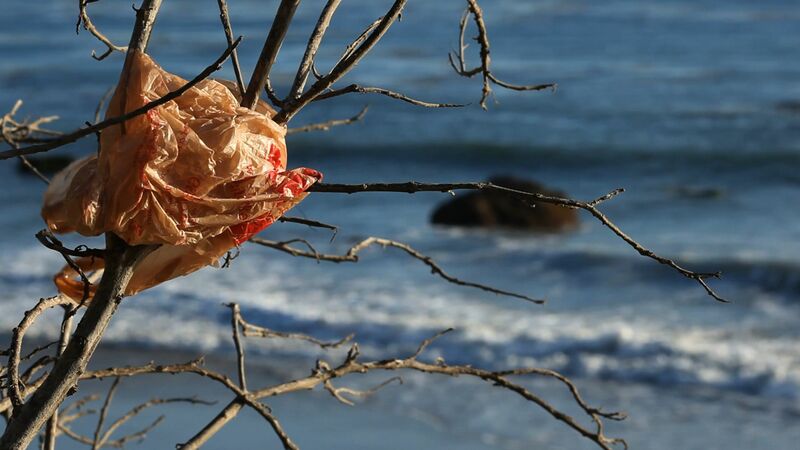 Not only do these events offer a chance to keep items in use and out of the landfill, but they also offer a unique, do it yourself, hands-on learning experience. 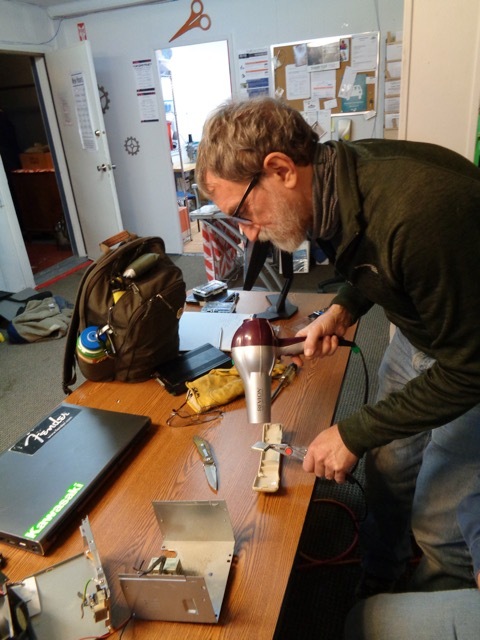 We sat down with Glenn Piwowar, member of the YuKonstruct Board of Directors, makerspace member, and one of the hosts of the Repair Café, to discuss toasters and technology. 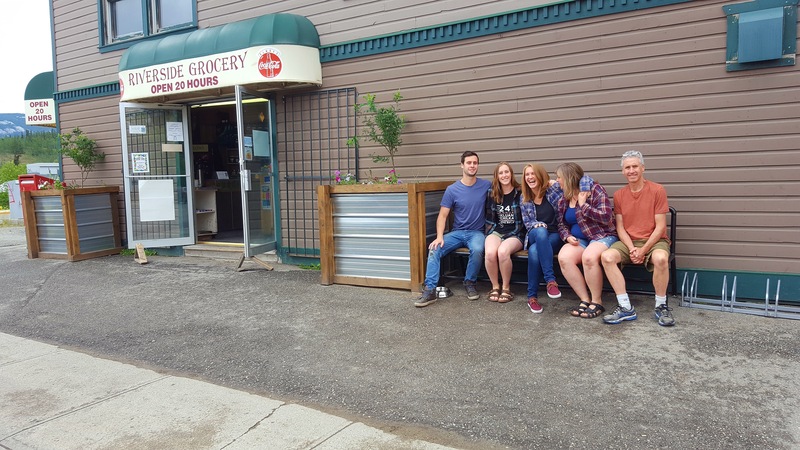 After indicating his interest in getting involved at one of YuKonstruct’s kickoff events, Glenn was approached to help host the Repair Café, and jumped at the opportunity. 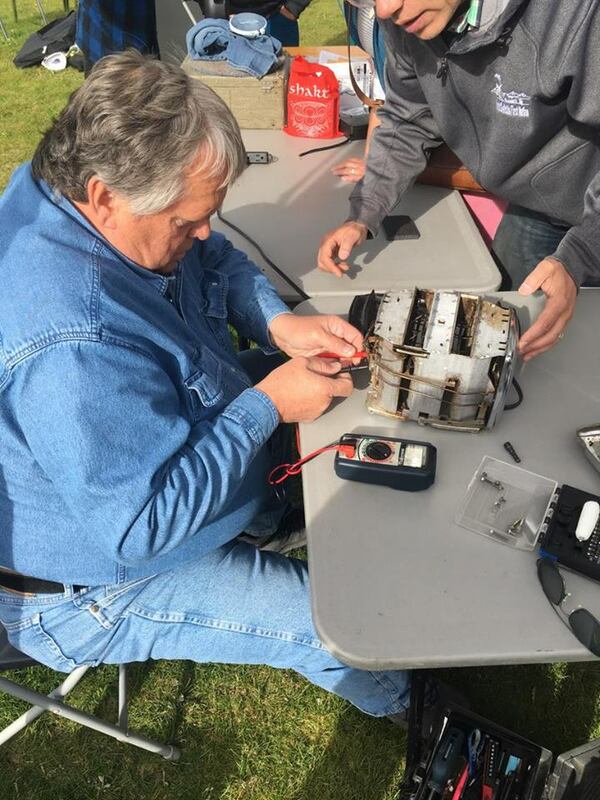 A registered professional engineer with degrees in physics and engineering, and coming from a family of teachers, he was the perfect candidate to host the Repair Café. “I’ve been teaching for a long time, and I’m not afraid to dive in,” he says, indicating that electronics can be scary to most people, and can also be dangerous if you don’t know what you’re doing. “I call it having a healthy respect, but not an irrational fear,” he says, describing his relationship with electronics and electrical items. Part of his inspiration in hosting the events is a love of tinkering and hands-on things, as well as a desire to help others understand how things work. He is also quick to acknowledge the Repair Café’s other volunteers, most notably Michelle and Garnet, who help keep up the success of the initiative. 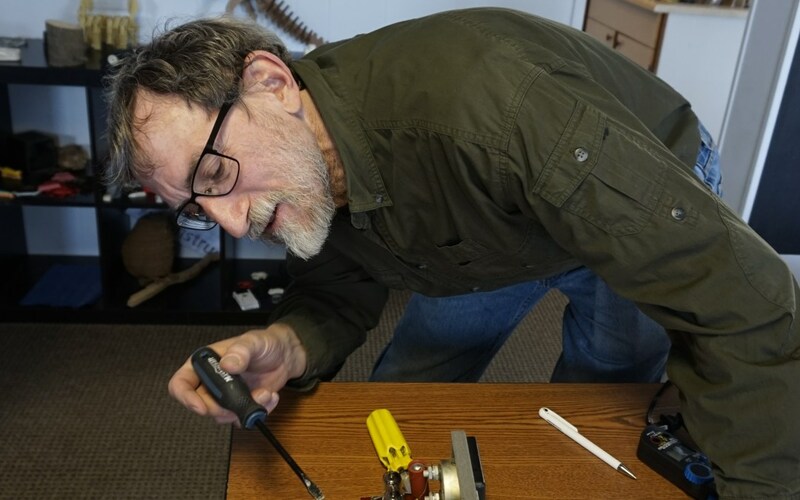 While most of the items Glenn sees at the Repair Café are small home electronics, that’s certainly not the only thing they help people work on. They’ve assisted eager participants in fixing mechanical items, wooden materials, and textiles. They’ve helped repair the likes of lawnmowers, vacuums, microwaves, RC cars, VCRs, vintage radios and more. Glenn even told me a story about how they once stitched a lawnmower back together using electrical wire. Often when people’s appliances or machinery stop working, it’s just because they need cleaning. Take toasters for example. In this case it’s as simple as cleaning these connections, and often the biggest challenge is to access these parts, as many modern appliances aren’t meant to be taken apart. “Older appliances and machines we meant to be maintained, and could easily be taken apart for cleaning or repair. These days a manufacturer would just as soon have you buy a new one every 5 years,” says Glenn. So is the key to buy the most expensive toaster because it’s less likely to break? Not necessarily. The best thing to do is to seek out items made of durable materials that can easily be maintained or repaired should they fail. When things do stop working, don’t be afraid to try and learn how to fix them. Often it’s something simple and you’ll be thankful you didn’t shell out for a new one when your old one just needed a little oil! Glenn reiterates that YuKonstruct is not operating a repair service, rather it’s more of a teaching service. Their goal is to help participants learn, rather than do things for them. “We want to give people the tools to help themselves,” he says. North Americans generated over 11 million metric tonnes of e-waste in 2016, mostly in Canada and the US, so it’s clear that giving people the skills to repair their electronics and prevent them becoming waste has never been more valuable. When people attend the Repair Café, they are often eager to learn. Participants are keen, enthusiastic, and curious, they want to know how these things work. Often they’ve already taken the item apart once or twice at home before they bring it in. The fix isn’t always easy, and some items are unfortunately beyond repair. The fun part is finding out what’s happening, where the problem is, and what might work to fix it. This involves “persistence, observation, and experimentation,” says Glenn. His vision of the Repair Café? YuKonstruct’s Repair Café happens from 6 pm – 9 pm on the last Thursday of every month. The event is free to members, and they ask non-members to pay a $5 drop-in fee to cover the costs of consumable materials. Apart from the Repair Café, they offer numerous other workshops and events like Drinking With Scissors, a craft night with craft beer, and Mentor’s Nights, where you can pop in to talk and learn with an expert about your latest project! 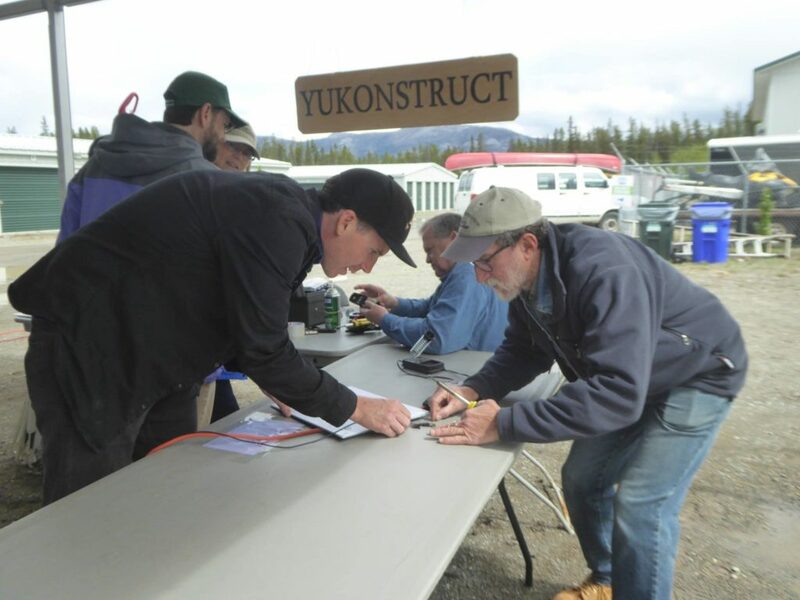 Visit YuKonstruct’s website for more information on any of their programs, and be sure to check out the Repair Café at the 6th annual Indoor Community Garage Sale, February 9th, 2019 at the Yukon Convention Centre! YuKonstruct is located at 2180 2nd Ave. in Whitehorse, YT.